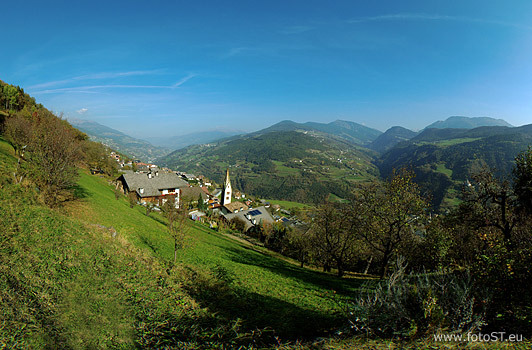 The charming village Barbiano / Barbian in South Tyrol lures its visitors with pure relaxation and a multifaceted scenery. A diverse leisure time programme, which ranges from skiing to ice skating and cross-country skiing in winter to hiking, horseback riding and fishing in summer, keep the ambitious visitors of the holiday region Val d'Isarco on their toes. One of Barbiano’s the most popular objects of interest is the bell tower of the parish church; its strong inclination even exceeds that of the Leaning Tower of Pisa. Noble hotels, bed and breakfasts and other accommodation facilities in Barbiano round up your holidays in the South Tyrolean Val d'Isarco.